Purpose of the review The goal of this article is to provide the reader an up-to-date overview of the role that health information technology (HIT) plays in modern-day healthcare quality improvement (QI) work and processes. 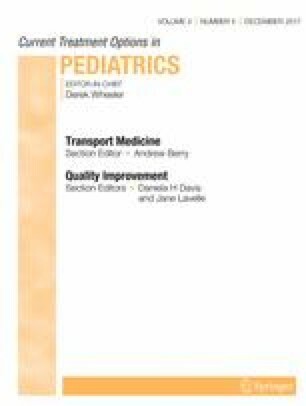 The reader should be able to understand the unique benefits and challenges that HIT can impart on QI efforts, as well as calibrate their expectations appropriately. Examples will be grounded in recent informatics evidence and standard practices. Recent findings Technology has been shown to an effective enabler and potentiator for quality improvement in initiatives and programs such as population health management, research, and QI networks, and minimizing use of unproven therapies (e.g., unindicated antibiotics), for example. HIT challenges remain that can limit this positive effect, including data management and quality issues, technical interoperability barriers, and the general nature of quality reporting as it exists today. Summary Information technology in the form of electronic health records and other systems are ubiquitous and powerful enablers of quality improvement efforts in healthcare. When these digital tools are applied according to best practices and in an evidence-based manner, they can have profound impacts on both quality improvement processes and outcomes. Technology and the general healthcare environment are rapidly changing, though, and further study of the intersection of HIT and QI will continue to inform us of the real promise and pitfalls of this intersection. Eric Kirkendall declares that he has no conflict of interest. Services HaH. HITECH Act Enforcement Interim Final Rule. 2017. https://www.hhs.gov/hipaa/for-professionals/special-topics/HITECH-act-enforcement-interim-final-rule/index.html. Accessed 28 Aug 2017. Lyren A, Brilli RJ, Zieker K, Marino M, Muething S, Sharek PJ. Children’s Hospitals’ solutions for patient safety collaborative impact on hospital-acquired harm. Pediatrics. 2017; https://doi.org/10.1542/peds.2016-3494. Chung P, Scandlyn J, Dayan PS, Mistry RD. Working at the intersection of context, culture, and technology: provider perspectives on antimicrobial stewardship in the emergency department using electronic health record clinical decision support. Am J Infect Control. 2017; https://doi.org/10.1016/j.ajic.2017.06.005. Akpan MR, Ahmad R, Shebl NA, Ashiru-Oredope DA. Review of quality measures for assessing the impact of antimicrobial stewardship programs in hospitals. Antibiotics (Basel). 2016;5(1) https://doi.org/10.3390/antibiotics5010005. Dykes D, Williams E, Margolis P, Ruschman J, Bick J, Saeed S, et al. Improving pediatric inflammatory bowel disease (IBD) follow-up. BMJ Qual Improv Rep. 2016;5(1) https://doi.org/10.1136/bmjquality.u208961.w3675. Savarino JR, Kaplan JL, Winter HS, Moran CJ, Israel EJ. Improving clinical remission rates in pediatric inflammatory bowel disease with previsit planning. BMJ Qual Improv Rep. 2016;5(1) https://doi.org/10.1136/bmjquality.u211063.w4361.